Each year, The Conservation Volunteers (TCV), funded by the Esmée Fairbairn Foundation, offer traineeships that target identified skills shortages in the conservation sector. I’m one of those – known as a Natural Talent Trainee – and have just completed my year-long traineeship based at National Museums Scotland. Through the Natural Talent UK programme, trainees are given the opportunity to develop an expertise in a specific taxonomic group, habitat, or a mixture of both. This year there have been six Natural Talent Trainees, each focusing on different specialisations and based at different host institutions across the UK. 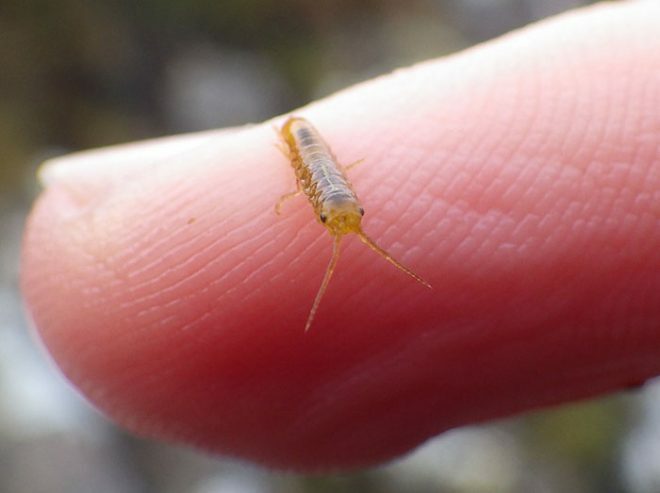 The programme aims to expand our knowledge and the public’s awareness of the UK’s least well-known species, ranging from non-marine molluscs and invasive species, to deadwood beetles and aphids. A saline lagoon: Loch an t-Sruith Mhòir, North Uist. 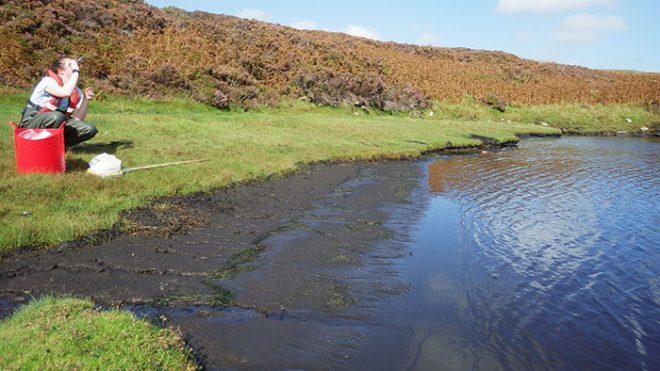 My traineeship was about saline lagoons: coastal lochs that have a sporadic connection to the sea. The habitat provided by each lagoon is unique and changeable, and some unusual invertebrates can only be found there, making them a priority for conservation. 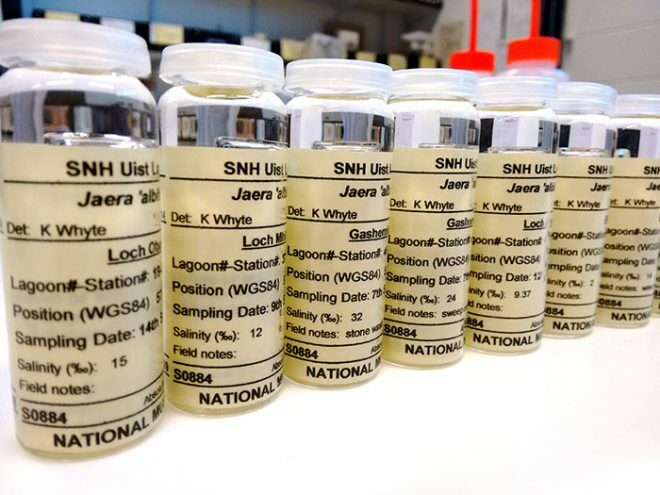 Over the past few years, the Invertebrate Biology team at National Museums Scotland have studied numerous saline lagoons, collecting data on the diversity and distribution of lagoons species across Scotland. Working with them has been a fantastic learning experience for me and I have had many great opportunities over the year. Perhaps the most memorable experiences of my traineeship have been on fieldwork surveying the lagoons. 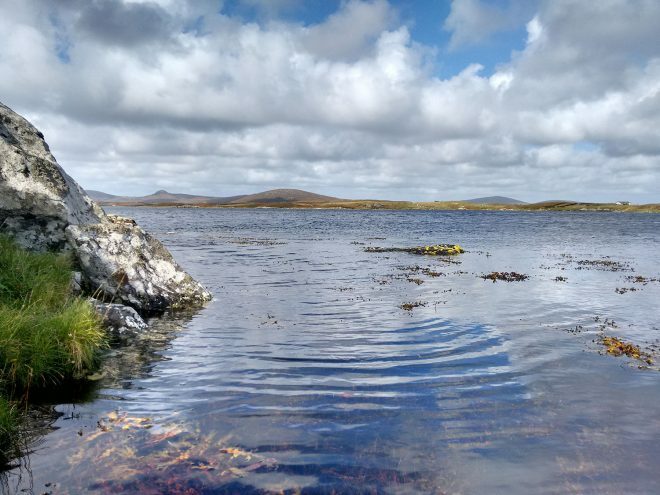 The majority of lagoons in Scotland are in remote corners of the west coast as well as on the islands, and so I have been lucky to work in many beautiful places. I will certainly never forget our month of daily ten mile hikes (in waders!) across remote bogs on Uist in the Outer Hebrides. 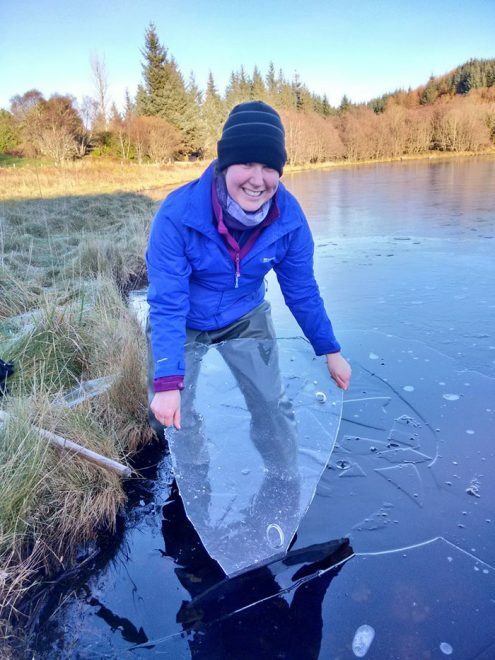 Neither will I forget our fieldwork in Argyll, when we had to break through a solid layer of ice just to get our sampling net in. Summer: measuring the salinity of a lagoon on Uist. Winter: looking for lagoon invertebrates under the ice in Argyll. Although memorable, fieldwork was only one part of my traineeship. My day-to-day role at the museum was focused on learning about saline lagoon invertebrates and developing skills in species identification. The animals found in lagoons are known for being particularly challenging to identify, and so, through much practice, I have learnt how to identify the key groups and species. 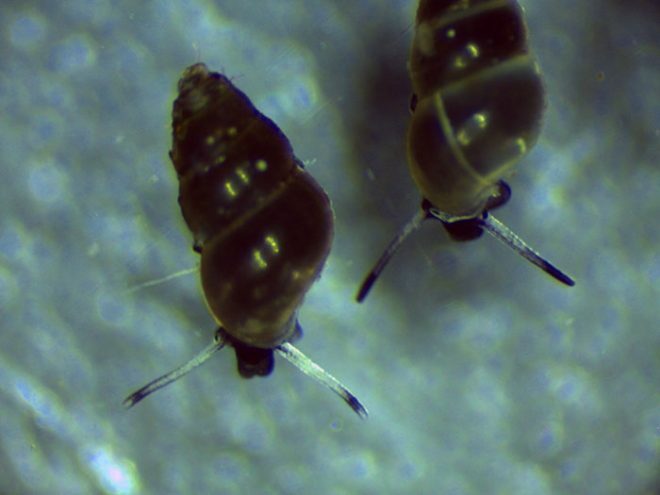 The features I’ve been studying range from the unusual (looking at tentacle banding patterns on hydrobiid snails) to the bizarre (looking at how hairy the legs are on marine isopods), but it has been a fascinating insight into the world of these small marine invertebrates. Another key part of my role has been public outreach. Working to engage the public, and especially children, with nature has been very rewarding. In particular, I remember a girl at one of my events in Edinburgh who was fascinated with the miniscule mudsnails I showed her under the microscope; she kept coming back and back to the stall for another look. It has been interesting to talk to all kinds of people, from children to academic researchers, about species that are often overlooked and to inspire interest in their conservation. 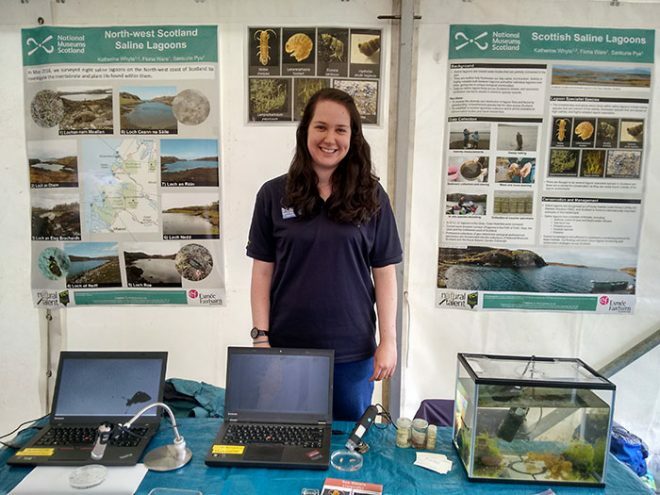 Showcasing the local lagoon wildlife at Ullapool Pier Day. The diverse skillset I have developed this year goes far beyond field surveys and species identification. I have learnt about saline lagoon ecology, specimen preservation techniques, the logistics of fieldwork and the value of nature outreach through events and social media. There have been many achievements over the year, including presenting my work at the MASTS (Marine Alliance for Science and Technology for Scotland) conference and adding hundreds of voucher specimens to the museum collections. My hope is that these contributions will aid future researchers in protecting and understanding these threatened lagoons and their curious residents. Lagoon voucher specimens in the National Museums Scotland collections. My traineeship has given me many valuable experiences and skills that I will continue to draw on throughout my future career. I have enjoyed every aspect of the experience. It has been a fast and exciting year, and definitely a memorable one.